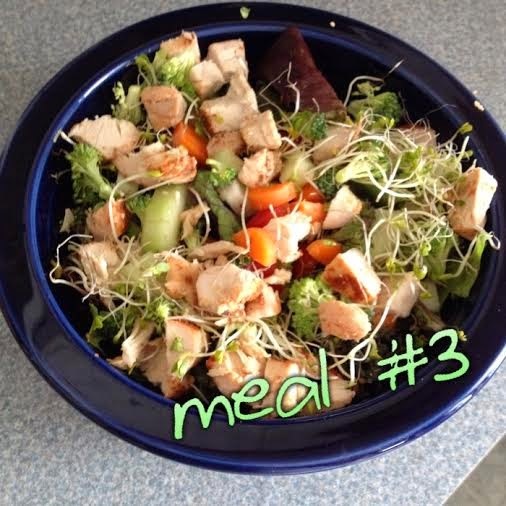 What a Day of Meals on the 21 Day Fix Looks Like. 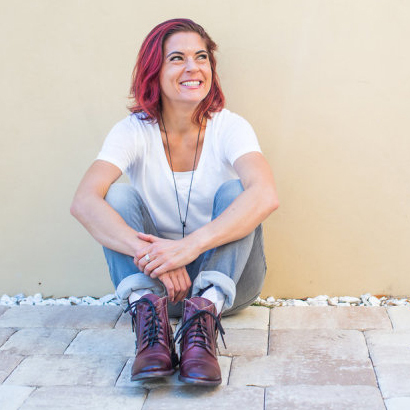 This was the first week I really sat down and figured out a meal plan to begin the 21 day fix and I wanted to share with you all what a day of meals on the fix looked like for me. For those of you who do not know what the 21 day fix program is and would like to know more about it you can do that here. My meals are based on the 1,200-1,499 calorie range which means my containers per day are: 4 red, 3 green, 2 purple, 2 yellow, 1 blue, 1 orange, and 2 teaspoons. 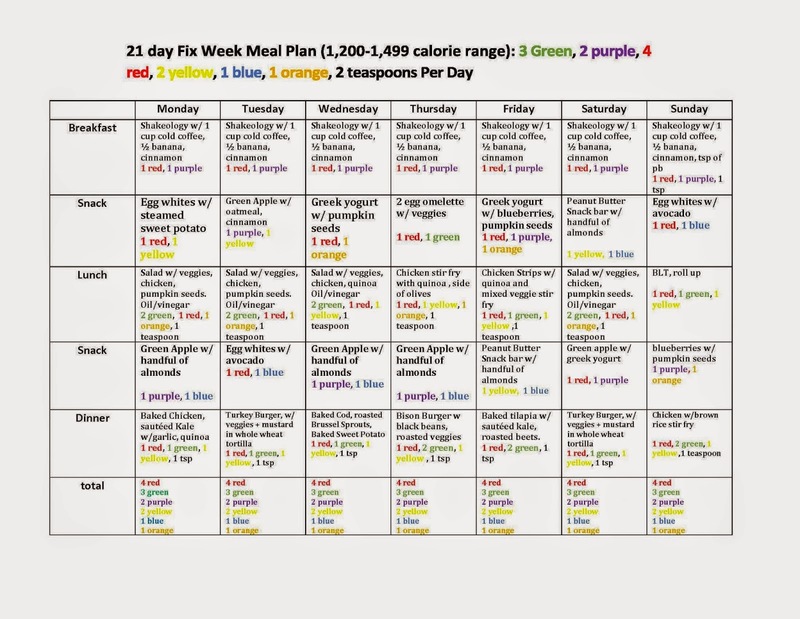 Below is the meal plan I created for the week. 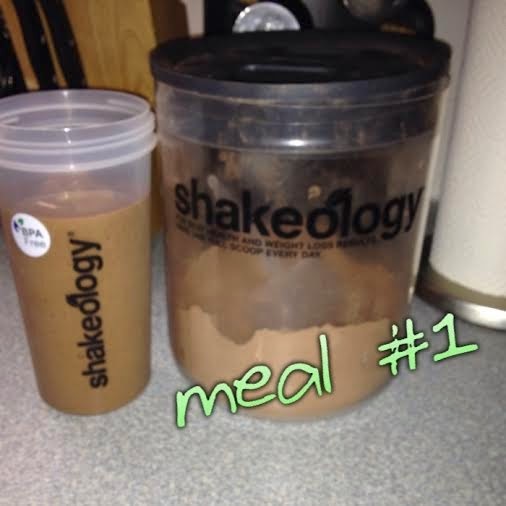 I always have my shakeology for breakfast even when not on the fix and love it. Adding coffee to it makes me feel like I am drinking a mocha coolata or something. A little tip if you like your shake thick: Freeze the banana. 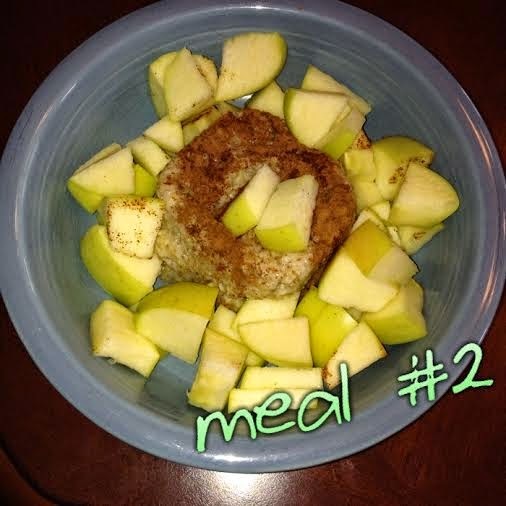 Meal #2 Snack: Green Apple with Oatmeal and Cinnamon. So this is one of those things where I saw the yellow container and thought, "crap that's small". When I actually stuffed all my oatmeal in the container it worked out to be the perfect size for me. That mixed with the apple really worked for a snack that tasted good and kept me full. Meal #3 Lunch: Salad with Veggies, pumpkin seeds, and olive oil/balsamic vinegar dressing. 2 green, 1 red, 1 orange, 1 teaspoon. Again, when making the salad I thought it was going to be tiny after seeing the green container. I stuffed as much lettuce and veggies as I could in there, added the container of chicken, pumpkin seeds, and the dressing and it turned out to be bigger than I would normally eat. 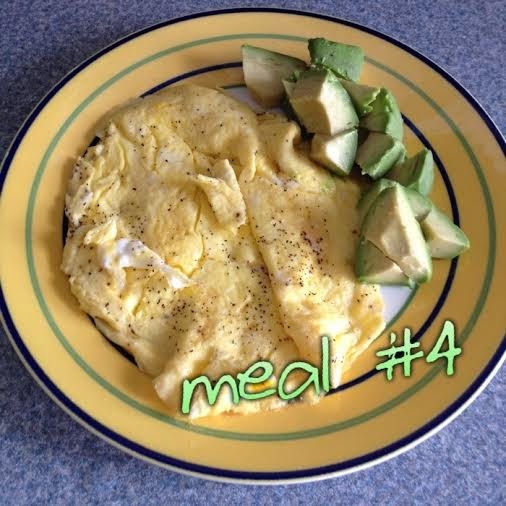 Meal #4 Snack: 2 egg omelette (1 whole, 1 white), with Avocado. 1 red, 1 blue. I was definitely satisfied with this meal. It did its job which was to satisfy my hunger between lunch and dinner. It kept me full, was light and simple. 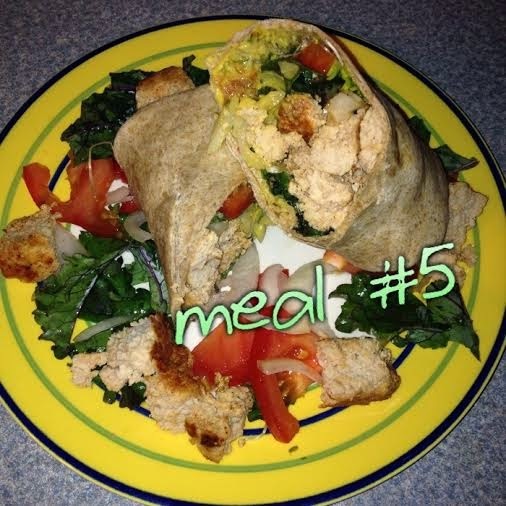 Meal #5 Dinner: Turkey Burger Wrap with Veggies and Mustard. 1 red, 1 green, 1 yellow, 1 teaspoon. This was my favorite meal of the day because I got to practice my wrap skills from when I worked at UFood Grill. Also, it was good. I used a 6 inch wheat tortilla for the wrap and filled it with lettuce, tomatoes, onions, and sprouts. I was satisfied with my choice because it tasted good, and kept me full. I will be using this one in future meal plans for sure. I really focused on doing the fix this week because some old bad habits were creeping up on me. I am really happy that I decided to do so because I already feel like I am back on track. The schedule is really helping! If you are interested in the 21 Day Fix or would like to join a future fix challenge group send me a message at Messina1892@gmail.com and we will get you set up!